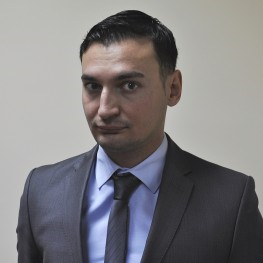 Tomasz Smura, PhD, is a graduate of the Institute of International Relations at Warsaw University and Director of Research Office at the CPF. Tomasz Smura defended his PhD thesis at University of Warsaw and is a graduate of the Institute of International Relations of UW. He previously studied also at the University of Nottingham. His doctoral dissertation concerned the development of the system of balance of power in East Asia and his research interests include US foreign policy, East Asia and International Security. Tomasz Smura has been awarded a scholarship of the Ministry of Foreign Affairs of Taiwan, and has taken analytical internships at, amongst others, the Department of Strategy and Planning, the Ministry of Foreign Affairs, and the Polish Institute for International Affairs. He currently works as Director of Research Office at the Casimir Pulaski Foundation. Tomasz Smura, “Balance Sheet of Poland-US Relations beyond the Trump Administration” in Balance Sheet of U.S. Allies and Implication for Alliance Policy, ed. Tomasz Smura, Naomi Konda (Warszaw: Casimir Pulaski Foundation 2018); Tomasz Smura, From Newport to Brussels – NATO adaptation to the Russian threat, 2 (2018); Tomasz Smura, “America (still) first? – assessment of the first year of Donald Trump’s presidency, Pulaski Policy Paper , 2 (2018); Tomasz Smura, “Donald Trump’s victory in the U.S. elections – possible consequences for American foreign and security policy,” Pulaski Policy Paper, 27 (2016); Tomasz Smura, “Russian Anti-Access Area Denial (A2AD) capabilities – implications for NATO,” Pulaski Policy Paper, 29 (2016); Tomasz Smura, “New Cold War – the impact of the deterioration of relations between Russia and the West on the security environment in Europe, Pulaski Policy Paper, 11 (2015); Tomasz Smura, Rafał Lipka, “The modernization program of the Armed Forces of the Russian Federation – current status and prospects of success,” Pulaski Policy Paper, 1 (2015); Tomasz Smura, Rafał Lipka, “The Polish Air Force,” in The Polish Armed Forces – Current State, Perspectives and Modernization Challenges, ed. Tomasz Smura, Rafał Lipka (Warsaw: Casimir Pulaski Foundation, 2014); Tomasz Smura, “The MEADS Offer” in The Polish Shield – Needs, Challenges and Implications for the Security of Poland, ed. Tomasz Smura, Rafał Lipka (Warsaw: Casimir Pulaski Foundation, 2014); Tomasz Smura, “China-Japan Relations in Shinzo Abe’s Term,” Stosunki Międzynarodowe – International Relations, 1 (2014): 165-81.